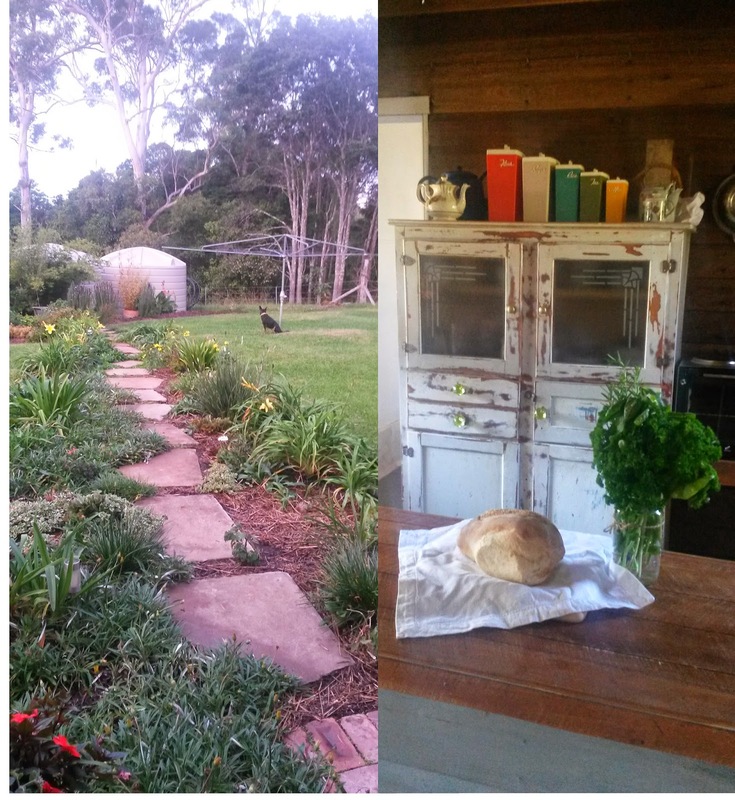 Recently we had the pleasure of visiting a charming cottage that was a converted dairy near Casino Northern New South Wales. When we arrived we were greeted by our hosts Margaret & Laurence with a loaf of fresh baked bread accompanied by three small jars of home prepared preserves from their garden. There was also a lovely basket full of fresh veggies and a large vase of fresh herbs also from their garden along with home baked brownies and Anzac biscuits. We found the cabin on Airbnb which is perfect for anyone searching for a romantic getaway or secluded honeymoon destination. 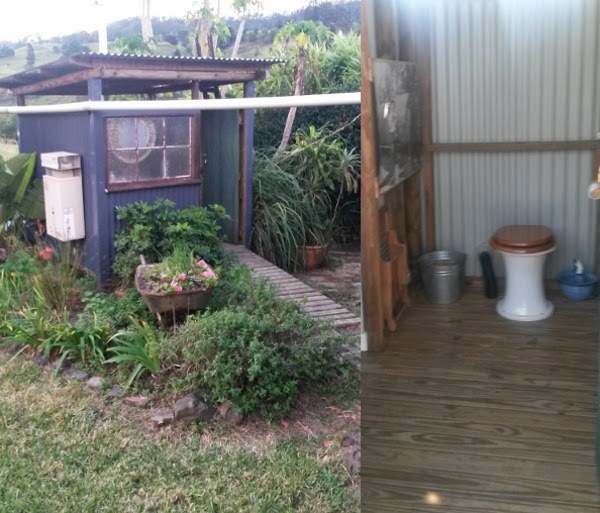 This charming 'eco cabin' is the perfect couples retreat, featuring one bedroom with kitchen, fireplace and a veranda overlooking a herd of cows, charming herb garden and rustic bathroom with rainwater shower & composting toilet. It's a simple retreat although it bursts with the comforts of home. Laurence & Margaret's goal in life is to be sustainable by tending to their garden where they grow their own vegetables including garlic and ginger, as well as fruit trees which they pickle and preserve. Their home baked bread is perfectly soft in the center and crunchy on the outside. 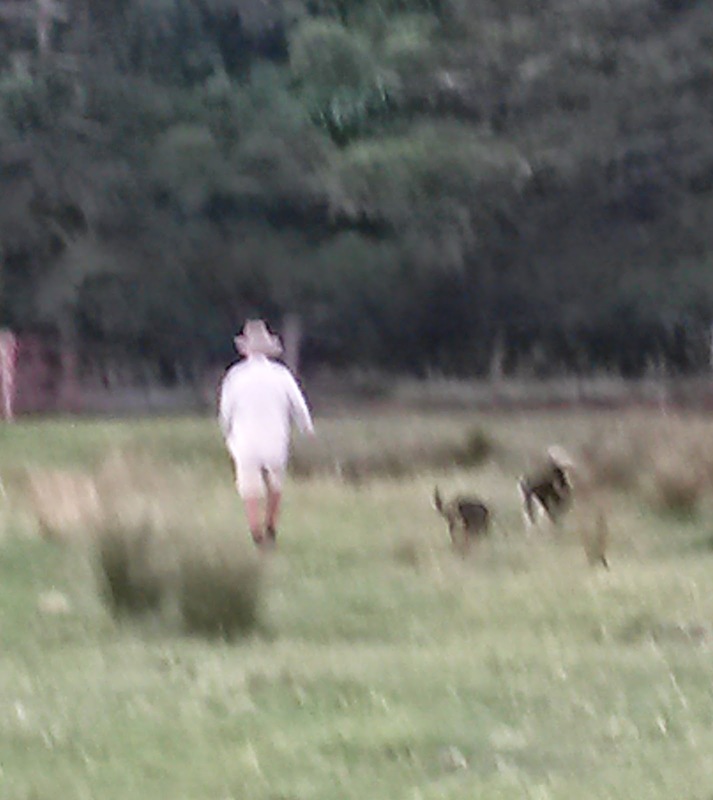 They also raise chooks (eggs) and cattle (beef) - who roam free range and live happy lives on their 200 acre farm. 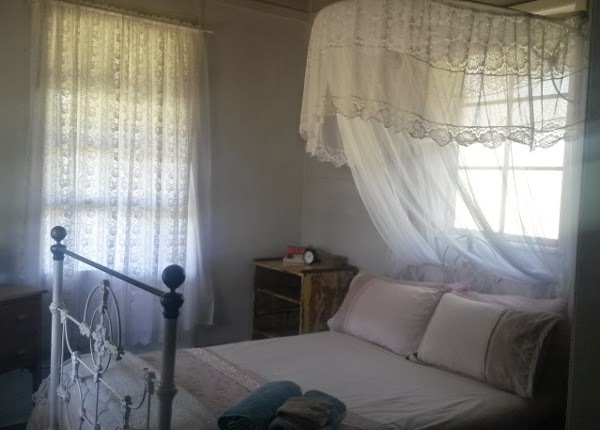 The charming bed came complete with a mosquito net which was more of a necessity than a romantic touch. The native leaf tail geckos were busy catching moths and other creepy crawlies in the kitchen, but I have to admit I was happy to be covered with a mozzie net as we slept. This is truly a rustic cabin experience! Taking a tour of the property with Laurence (and the two dogs, Joan & Patch) was most enlightening as he explained how they were living off the land in the most sustainable way possible. He & Margaret not only grow most of their own food they have recycled almost everything including their home which is an old school house from the nearby town of Mummulgum where Margaret went to school. The Eco Dairy has also been renovated in the most rustic and sustainable of ways, using wood and other materials off the land and surrounding areas. We had the pleasure of tasting another of Lawrence's hobbies. He is quite the craft brewer making a delightfully light and tasty beer. 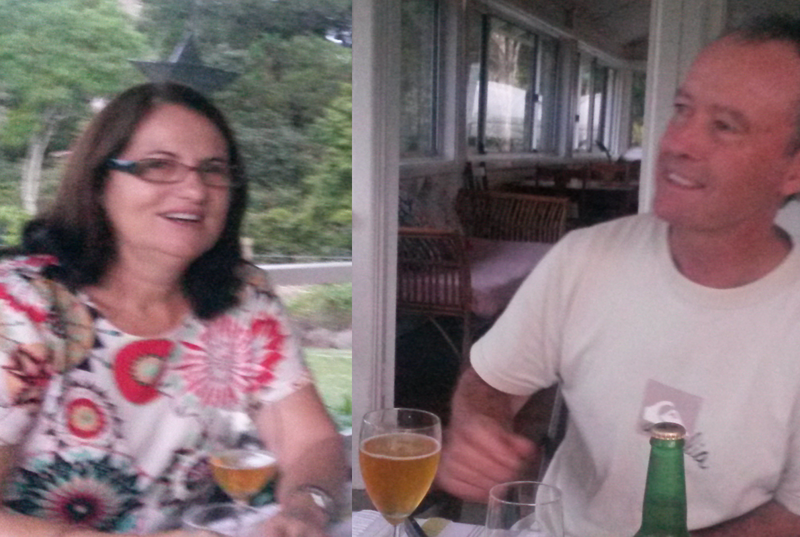 We spent an afternoon watching the sun go down over the mountain range sipping his crafty brew and tasting even more of Margaret's home made delights. This stand of trees is quite an anomaly, they have stood in a completely straight line for over 80 years. There is no explanation for this phenomena. At least no one has been able to figure it out yet. Do yourself a favour and leave your mobile phone at home (they wont work anyway). 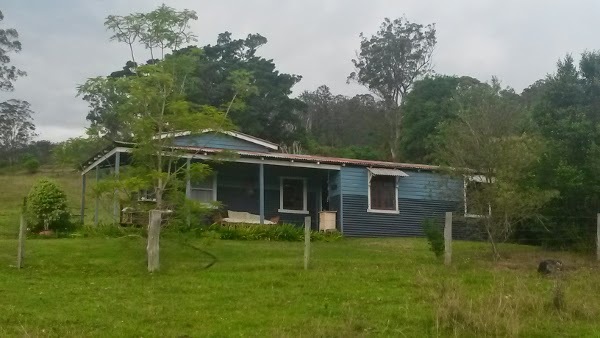 Activities at the farm can include doing absolutely nothing - reading, relaxing, listening to the birdlife, bushwalking or a maybe a four wheel drive guided tour to the bordering World Heritage Rainforest walks which can be arranged with your host, Laurence. 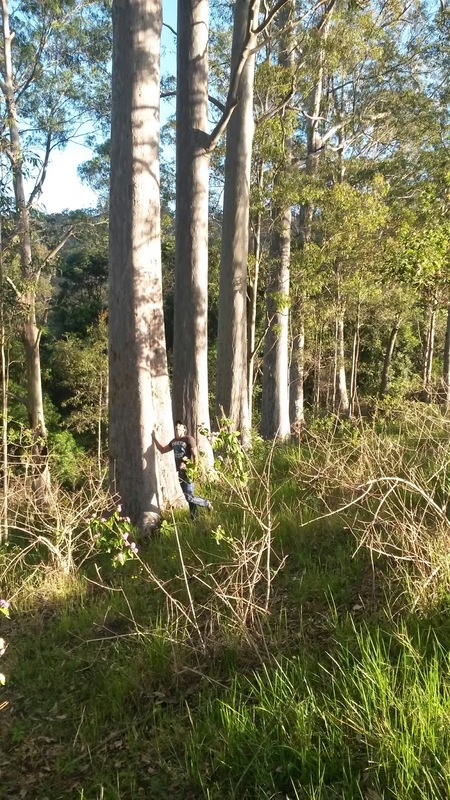 Day trips to Byron Bay, Nimbin or Tenterfield are another way to spend the day, although taking advantage of the peace and quite is well advised. There is no public transport at Theresa Creek. Having a car will allow you freedom to explore the surrounding area, however if you are flying or arriving by train and do not wish to hire a car your hosts are able to collect you from the airport /station for an extra cost. For booking information log into AirBnB and search for Eco Dairy cabin at Theresa Creek. Inspiration and ideas to help you plan a green wedding, event or celebration. 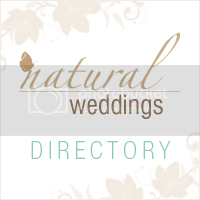 A companion to our Australian Natural Weddings online directory. 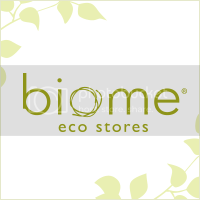 This blog is sponsored by Biome Eco Stores and features green wedding ideas from the fabulous eco friendly businesses listed on Natural Weddings. Ombre is the new black this wedding season!